Navigating a divorce or a family separation can be confusing, expensive and time consuming. If you can’t afford to get help with your legal issue, the problem can be compounded. If you can’t afford a lawyer, you should first check whether you qualify for legal aid in BC to help with your family law issue. The Legal Services Society of British Columbia operates legal aid in BC and can provide funding to help you with your family matter in certain circumstances, including if you need urgent protection from family violence. You can see the types of serious family issues legal aid will help with on their website. 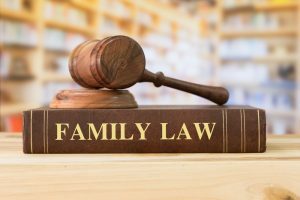 If you can’t afford a lawyer and don’t qualify for legal aid, the process of navigating the family law system can be daunting. However, there are resources out there to help people who cannot afford a lawyer or who need more information about Family Law in BC. MyLawBC – MyLawBC provides tools you need to identify, manage, and solve your family legal problems. This is a good place to visit if you aren’t sure where to start. JP Boyd on Family Law – JP Boyd’s wikilaw on Family Law in BC is an essential tool for anyone involved in a family law dispute. It explains common processes and procedures related to family law in British Columbia and provides a “How Do I” section for answers and questions. BC Supreme Court Self Represented Guidebooks – If you are navigating the court process alone, this resources is essential. It provides guides for certain procedures in the Supreme Court, such as drafting court documents and preparing for hearings. Make sure to review the Supreme Court Family Rules and the Family Law Act. If you still have questions or are unsure about how to resolve your family issue, contact us to set up a consultation with one of our experienced family law lawyers.